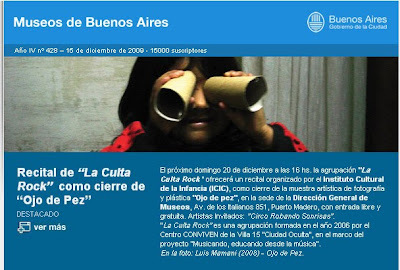 Please join us this Sunday afternoon (20th Dec) for the close of the photography exhibition by the Conviven group "Ojo de Pez". 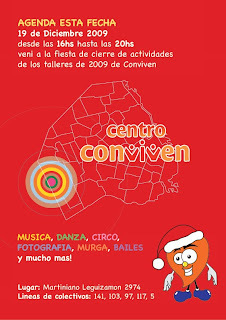 Conviven band, La Culta Rock, will be playing and Circo Robando Sonrisas will be performing. Please join us for the Conviven end-of-year party this Saturday 19th December! Classes will be showing their work and there will be circus displays, hip-hop, open photography workshop, dancing and refreshments.